Structural reform is expected to boost India’s prospects. The initial phase of the government’s effort to remove structural bottlenecks is lifting investor confidence. With the support of stronger external demand, India is set to expand by 7.8% in FY2015 (ending 31 March 2016), a sharp uptick from 7.4% growth recorded in FY2014. This momentum is expected to build to 8.2% growth in FY2016, aided by the expected easing of monetary policy in 2015 and a pickup in capital expenditure. Economic growth, industrialization, and urbanization are intertwined. Greater economic growth enables structural transformation with increased workforce migration from agriculture into more productive industry and services. As these sectors are usually based in cities, industrialization naturally promotes urbanization. Economic growth raises per capita income, prompting people to migrate from rural areas to cities in search of a better standard of living. Thus, cities can act as engines of faster and more inclusive growth through the forward and backward linkages they create through markets, demand for raw materials, and employment. India is urbanizing. The 2011 census found 35% of the population, or about 400 million people, living in urban areas. 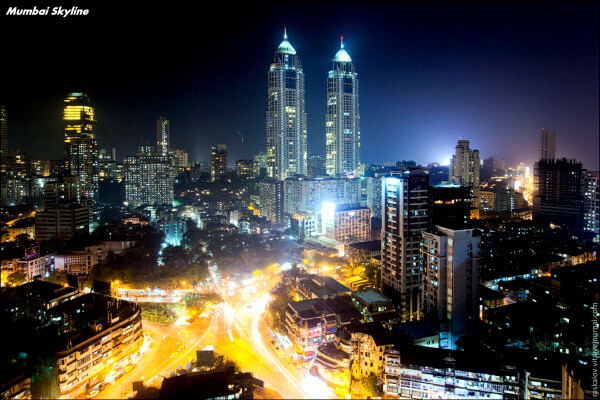 India is expected to have by 2030 nearly 600 million living in urban areas, which will expand urban areas much faster than ever before. At this juncture, the challenge for policy makers is to prepare cities for their role as promoters of faster and more inclusive growth. In the last 10 years, the urban share of the workforce has been stagnant at around 25%–30% (Figure 3.17.15). Further, the share of manufacturing in urban employment has been low and largely informal, and almost 75% of the urban population lives on less than $2 per day. These statistics indicate that the potential of urbanization to generate inclusive growth has not been fully realized. While several factors are responsible for this, one of the most important is the limited synchronization of urban and industrial planning. Policy makers in India have mostly treated urbanization and industrialization as distinct processes requiring different management systems. Urban development agencies have focused on land-use planning and service provision but not local economic development. Similarly, industrial development agencies have focused on the economics of setting up and operationalization of industrial facilities but paid less attention to urbanization. This has left urban areas with limited industrialization and industrial areas with limited urbanization. As a result, since the 1980s, industry and especially formal manufacturing have prematurely moved away from cities (Figure 3.17.16). This is because governments have provided incentives for new industries to locate in less-developed areas, polluting industries have been forced to relocate outside of cities, and land has become costly and difficult to consolidate in urban areas partly because of stringent land-use policies. Consequently, migration from rural to urban areas, which usually follows industrialization, has been held back. Much of urban population growth from the 1980s to the 2000s has been from natural increase, not migration. Further, most of the new industrial locations, unlike existing cities, have only limited support infrastructure and inefficient delivery of urban services. Thus, while industries moved out of cities, a large part of the workforce stayed. The decline of industrial employment in cities has been associated with a rise in skill-intensive service jobs but also with low-productivity informal manufacturing jobs, limiting the scope for translating urbanization into inclusive growth. If India is to reap the benefits of urbanization, it must synchronize urban and industrial planning to attract industries back to cities. Further, support for infrastructure is needed to realize the full potential of industry and services to create forward and backward linkages and so achieve inclusive growth. An important step in this direction is the Make in India campaign, under which various government departments are working in close coordination to develop economic corridors. The purpose is to promote the development of industry, especially manufacturing, in and around cities that are engineered to be smart and sustainable, and along transport and freight corridors. The government has announced several measures to develop such corridors, including setting up a national institution to coordinate, integrate, and supervise their development, while improving the ease of doing business through regulatory reform and building trunk infrastructure. The successful implementation of these measures will ensure the creation of cities that are equipped with world-class infrastructure, provide affordable public services, and have a business-friendly climate to attract investments.